At the Telenet UCI Soudal World Cup Soudal Classic, Ryan Cortjens proved once again he?s the best junior rider on the toughest courses. 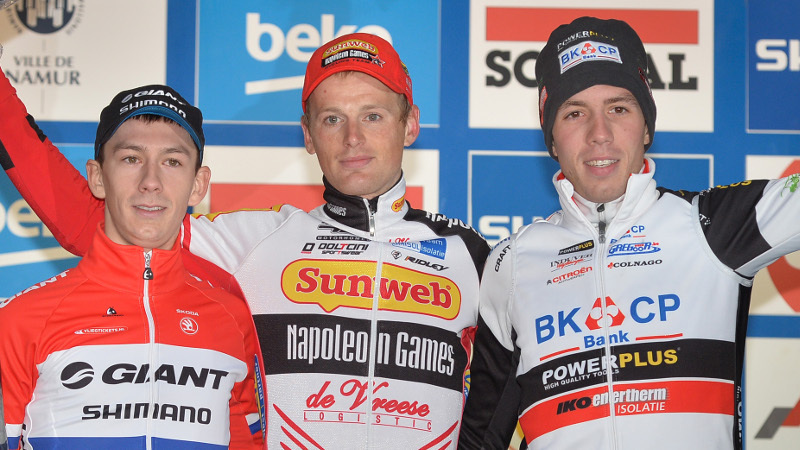 The Belgian took a solo win in Namur ahead of world champion Ben Tullett and Witse Meeussen. 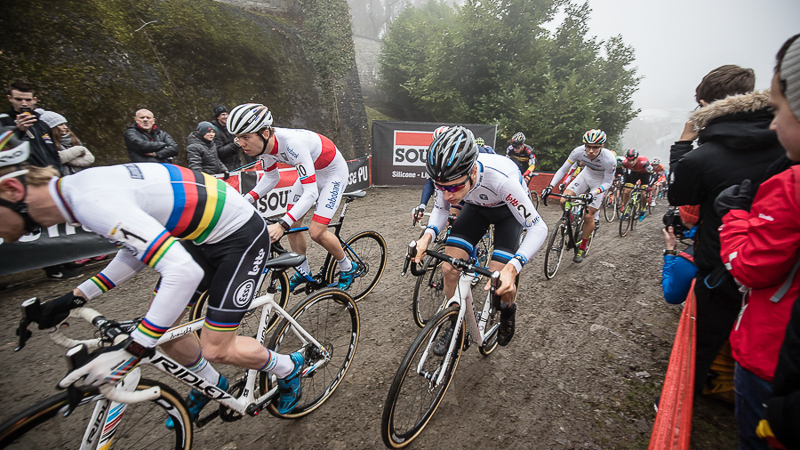 The juniors faced rain and wind when they were the first to tackle the challenging and slightly redesigned course in Namur. Ryan Cortjens clearly enjoyed the elements and quickly distanced himself from the pack. 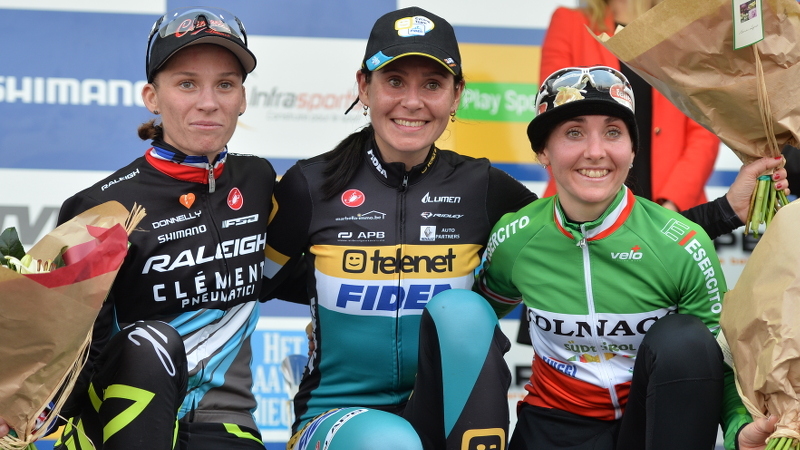 After one lap the Belgian junior held a 31-second lead over a group of four including Witse Meeussen. The Telenet UCI World Cup leader tried to chase down Cortjens alone in the second lap, but was caught by world champion Ben Tullett. Tullett took over second place ahead of Meeussen and Italy's Davide Toneatti. Tullett made slight inroads on Cortjens' lead, but the Belgian kept a strong pace on the Citadel. The gaps were remarkably big with the tenth-placed rider soon following two minutes behind leader Cortjens, who increased his advantage in the closing stage and took an impressive win on a hilly course. 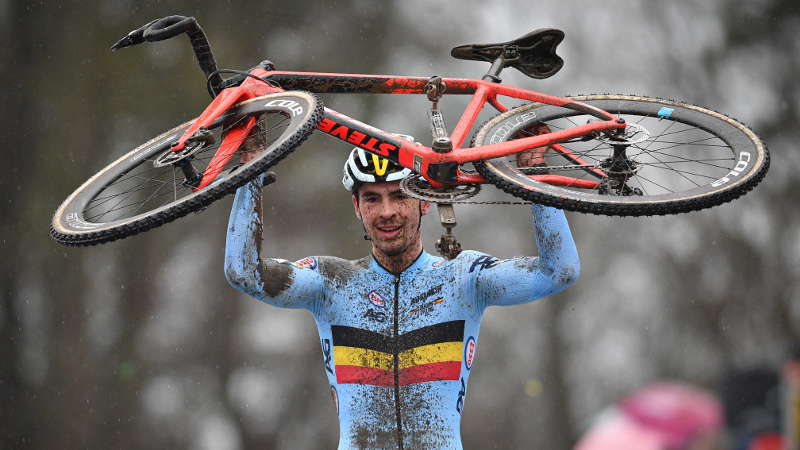 Earlier Cortjens also won on the challenging courses of Gavere, Zonhoven and Overijse. World champion Ben Tullett and Witse Meeussen completed the podium, the latter remaining in the lead of the Telenet UCI World Cup.